Passive Intermodulation (PIM) is a distortion that can occur when electrical nonlinearities within a system act as unintentional mixers at cell sites, communications satellites, and in wireless networks. This can happen due to loose connections, at contaminated or corroded surfaces, through the use of ferromagnetic metals, and more. 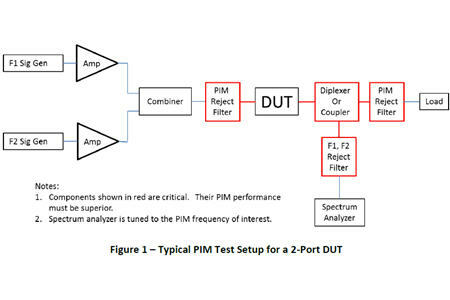 This application note explains how PIM can play havoc with your communications system and provides examples of two different setups that will allow you to test for the distortion. Download it to learn how it can help you prevent reductions in signal-to-noise ratio, increases in bit error rates, and reduced quality of service.